Feiwel & Friends, 9781250063571, 224pp. 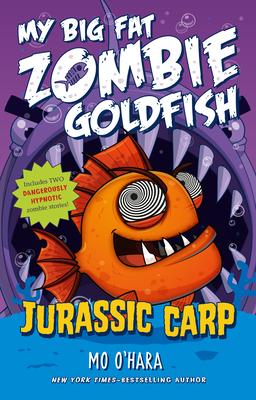 Fish-tory comes to life with two more fin-tastic stories featuring our favorite zombie goldfish Frankie from New York Times-bestselling author Mo O'Hara. When Tom and his best friend rescued Frankie the goldfish from his evil-scientist big brother’s toxic gunge their new pet came back as a BIG FAT ZOMBIE GOLDFISH.